When you first setup a project on codeplex there is a popup that tells you what domain\username and password to use to connect to the TFS server. But I found after setting up a project I couldn't remember what the format should be. The title of this blog post is a little confusing (it was meant to be!) in that there is no support for the Pivot and Panorama controls in the latest bits of Windows phone dev tools. The controls pictured above are courtesy of Stephane Crozatier. 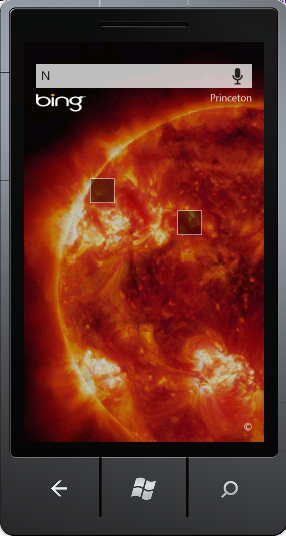 Those controls are freely available on codeplex to download but were designed for the CTP bits of Windows phone. So as there were some breaking changes between the CTP and the recently released beta they won't work out of the box. But it very easy to fix. Firstly you need to do delete the Microsoft.Phone. * references and add the Microsoft.Phone.dll to the project. 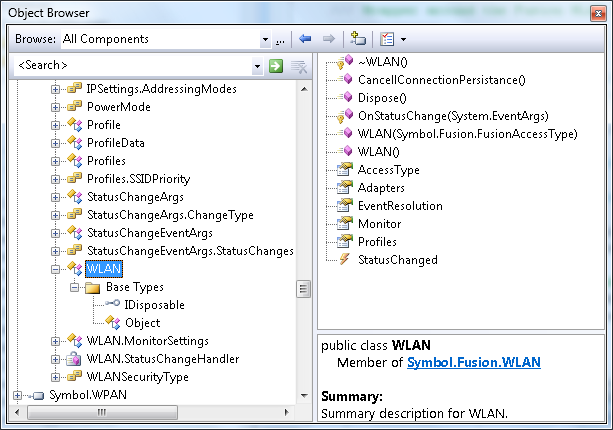 All those additional dlls have been merged into Windows.Phone.dll. 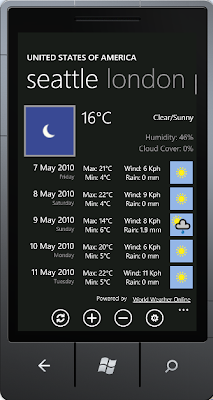 Now if you want the sample WeatherForecast app to run you need to do 1 last thing. 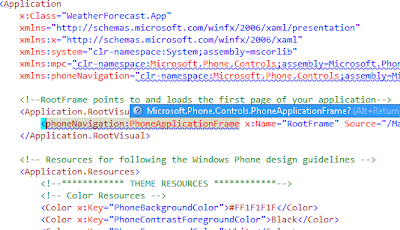 That is the ApplicationBarIconButton class now has a mandatory Text property so you need to set this property for each of the buttons in the MainPage.xaml file. Another nice cool thing with this emulator over the older Windows Mobile emulators is that you can do a ALT+Prnt Scrn to get a copy of the current focused window. You can't do this on Windows Mobile emulators. 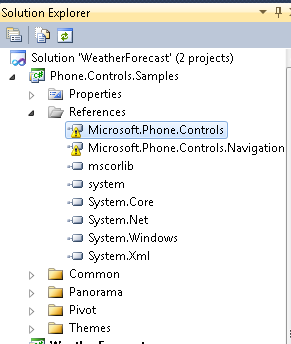 I just learn't there has recently been a Windows phone 7 UK user group setup. The first meeting is 28th July at Conchangos offices in London. http://wpug.net/. Microsofts Paul Foster and Rob Fonseca-Ensor will be speaking. There is now a wait list on the event but worth a try right! 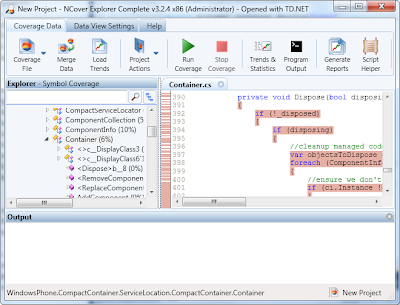 I just installed the beta bits released this evening and as per the CTP the install experience is brilliant. 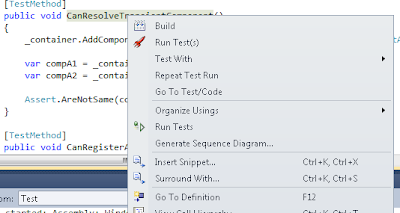 Except with the beta the greatest thing is support for Visual Studio RTM. 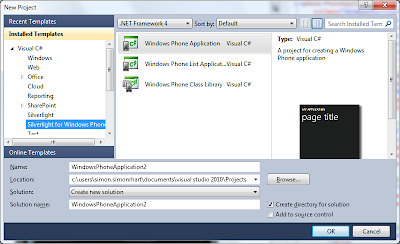 So unlike the CTP, even if you had VS RTM installed, then you installed the WP7 dev tools, the installer would install the CTP of VS express and not integrate with VS RTM. 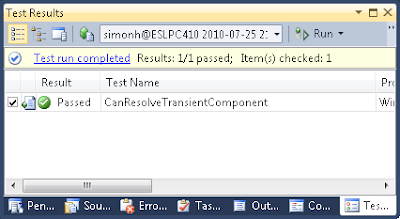 Actually I found a whole bunch of errors when attempting this with the CTP. However this build is good. I'm running VS 2010 Ultimate and VS 2008 Team Suite and this build integrated with VS 2010 RTM nicely. 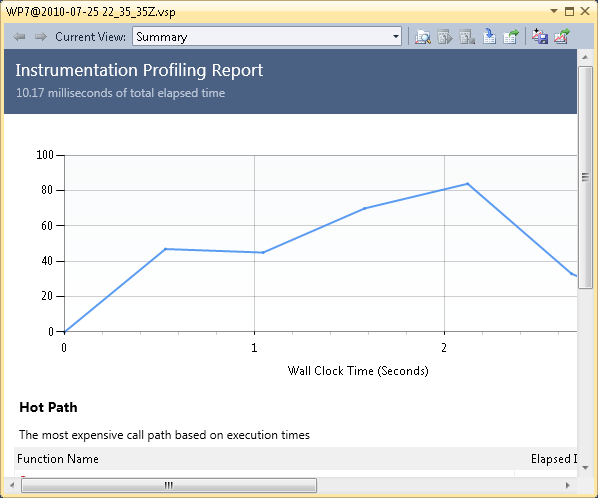 It is also worth noting in this release of WP7 dev tools, you get Expression Blend 4 for Windows Phone beta. In the CTP you had to download this separately. 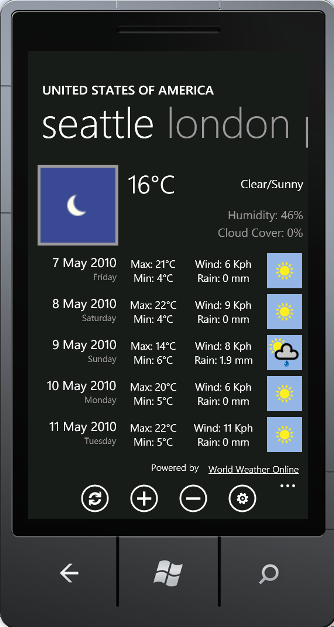 So experience so far is great, well done Windows Phone 7 team. I'll post my experiences of actually writing WP7 code using these bits in later posts. In the mean time you can download and try for yourself. I'll post my feedback once I've installed it and tried it out. Notice this under "System Requirements:"
I know in the past I have written blog posts on how to create unit tests that are actually executed on the Windows Mobile emulator which is great if you have mobile specific tests. But to be honest, when you are building large scale enterprise mobile solutions targeting a range of different devices i.e. Motorola, Casio, Intermec etc. 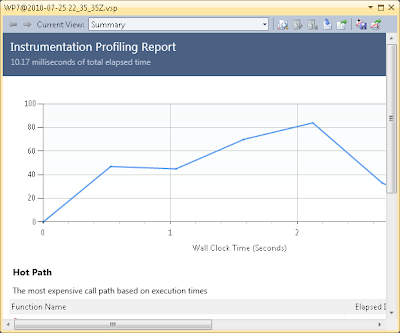 Writing device specific platform tests for all these devices becomes quite hard to automate when using an application lifecyle management solution such as Visual Studio and TFS with its continuous integration and automated test execution support. Even if you only support one type of device, when you do enterprise mobile development, using the tools mentioned above, you're not going to be able to automate those tests as part of a nightly build or even a CI build. As you will no doubt be using the vanilla Windows Mobile Emulators that know nothing about such specifics that you might be testing such as barcode reader, credit card reader, bluetooth stack etc. Instead you would normally write adapters or mock out implementation code when testing your barcode implementation. You'll generally never write an actual test that calls the true native code on that platform, why would you anyway unless it's part of an integration test. Ensuring you do this allows you to write unit tests, integration tests that do run as part of your nightly and CI builds that do improve code quality. So what type of tests should you write for most of your code base, device or desktop? My advice is desktop even if you think your device project is small, there will come a time when your project becomes large and more complex. 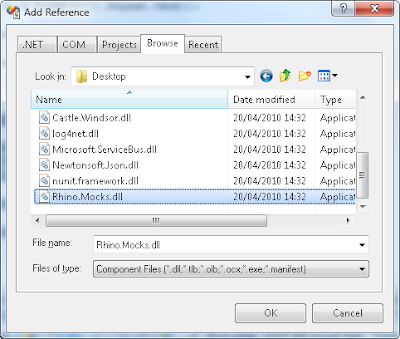 The benefit to targeting the desktop is the ability to use mocking frameworks. 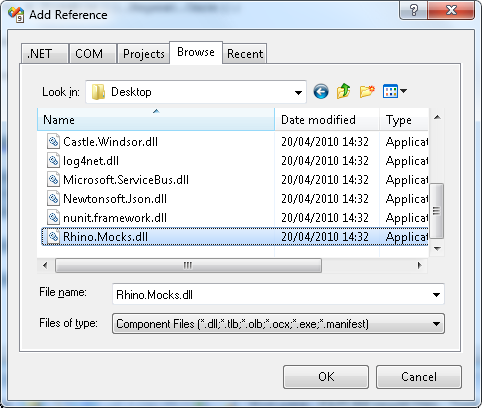 We tend to use Rhino Mocks and today there are 0 mocking frameworks available on the CF. If you start to go down to road of writing your own mocks, then you're entering a world of pain. When you think of it, most code can be tested on the desktop anyway. For things like data access, if you use SQL CE 3.5, then this can run on the desktop. 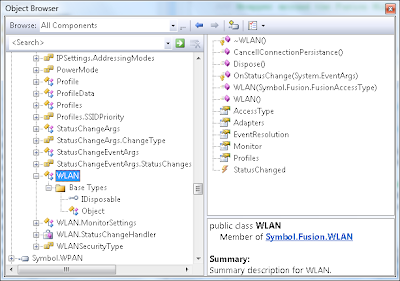 For the features that require explicit device testing, then create a single device test project for this purpose and exclude it from the build definition.